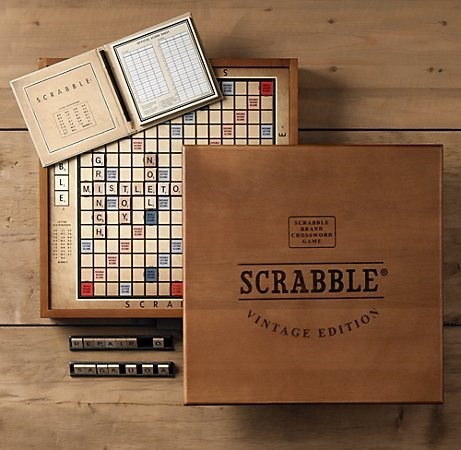 Now this is a perfect gift for a SCRABBLE addict. News: SCRABBLE Back in Nigeria's National Sports Festival? News: Ogilvy & Mather SCRABBLE Video Ads: Syphilis... Constipation?!? News: Possible New SCRABBLE Words? News: Welcome to the World of SCRABBLE! That is definitely one of the best cabinet sets I've seen. The others are cheaply made with a huge price, or try to be overly extravagant (failing miserable) with an even bigger price. This one seems like the winner. Except... they should nix the sand timer and include a digital tournament timer for two players. That would make it perfect! this is real classy. want one. what's the price for this? I think it went for $200. It's currently sold out, but I saw one on eBay right now currently bidding at $100.